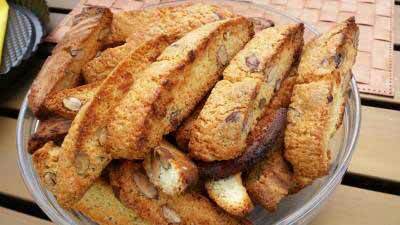 Cantuccini are almond biscuits, oblong-shaped, twice baked to make them crunchy. 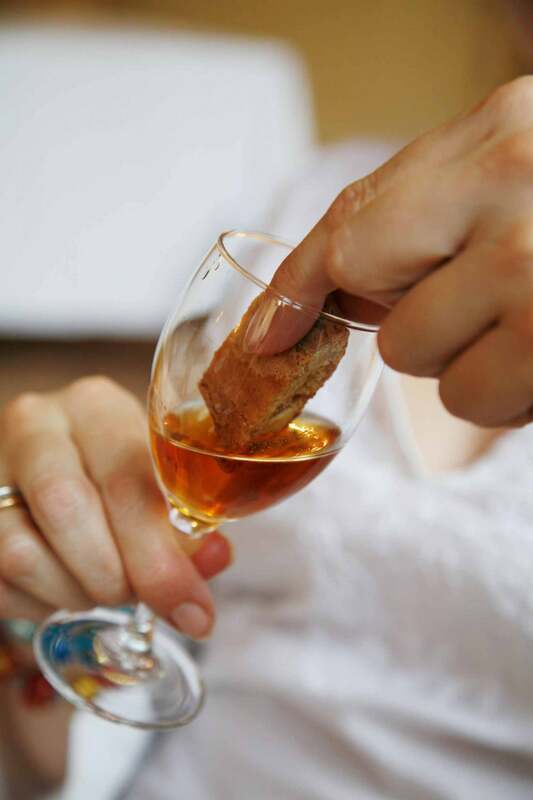 That’s why they ‘need’ to be dunked in Vin Santo, a typical fortified dessert wine. They are ideals to end a meal, even after the main dessert you will find some ‘place’ for a couple of biscuits! And you can try to do them at home as well – not that difficult! It is a thin, unleavened, let’s say pancake, made with chickpea flour, popular in Pisa and Livorno areas. You can have as a starter, a snack, or between two slices of bread to take away. As I said, chickpea flour, oil, water, salt and pepper: so easy to do and so tasty to eat! No doubt for the gold medal winner dish: pici! 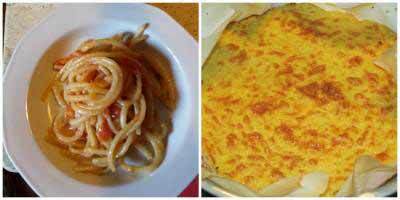 It’s a particular kind of pasta, they could look like thick spaghetti, and they are typical of Siena province. Rolled by hand, they are made only with flour and water – no eggs added! They can be seasoned with several different sauces: ragu or wild boar sauce, cheese and pepper, breadcrumbs, porcini mushrooms or all’aglione (my favourite one) – basically, a tomato and garlic sauce. I’m really ‘devoted’ to this dish, and not just for the taste or for the culinary tradition they represent. First of all, they are a very common dish for the Sunday, or festivity, lunch: that means, meal with family, day off from daily routine, and this good pasta to share all together. It’s also the most popular first course served during folkloristic events (races, challenges,…) – like the famous Palio of Siena – which occur mostly during summer: they could last a week to a month, and during this time every quarters involved offer dinner, and you could only image the cheery atmosphere of those moments, especially if accompanied with a good bottle of red wine. The other reason, it’s a personal memory that I have, and which I’d like to share with you just to let you understand how deep this culture could be, sometimes: it’s when I used to prepare pici by hand with my grandma. We did them before the evening before a big lunch – Christmas, birthdays, someone coming home,… – and every time she used to tell me stories about her past, while giving me directions on how to do pasta the best. That’s what I feel like to suggest you, while visiting our beautiful land for a cooking holiday. You will find good and fresh food made on the day nearly everywhere, and if I impressed you, let’s try one of the dishes I suggested: ENJOY! Types Of Italian Bread – Pane!